I FINALLY have my computer back and I can't tell you how excited I am. If you entered any giveaways here for the past few weeks, make sure you check yesterday's post that names three giveaway winners! 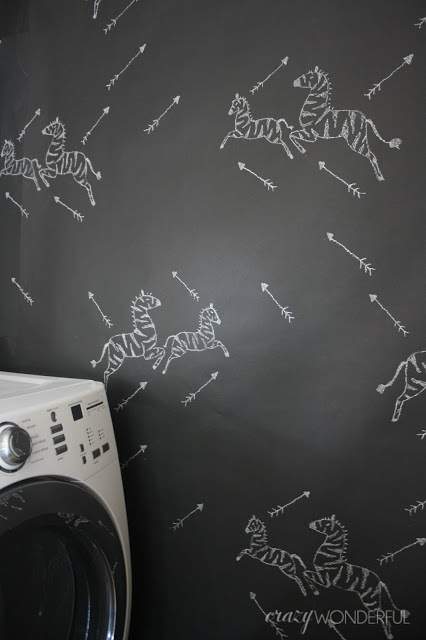 First up, Crazy Wonderful shared this adorable DIY temporary wallpaper. I'm loving this idea SO MUCH!! Next, Burlap & Lace shared her beautiful knock-off West Elm art. 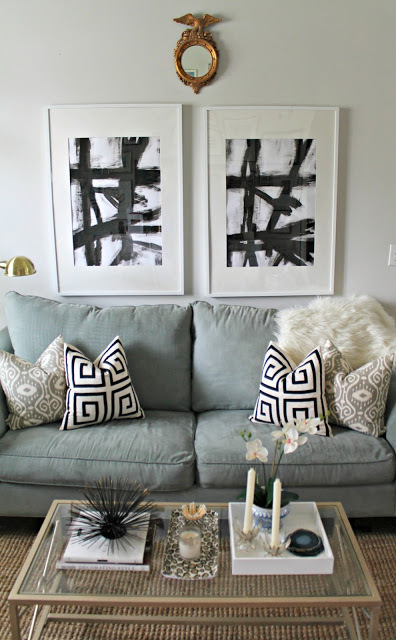 These add such a great contemporary feel to her space! 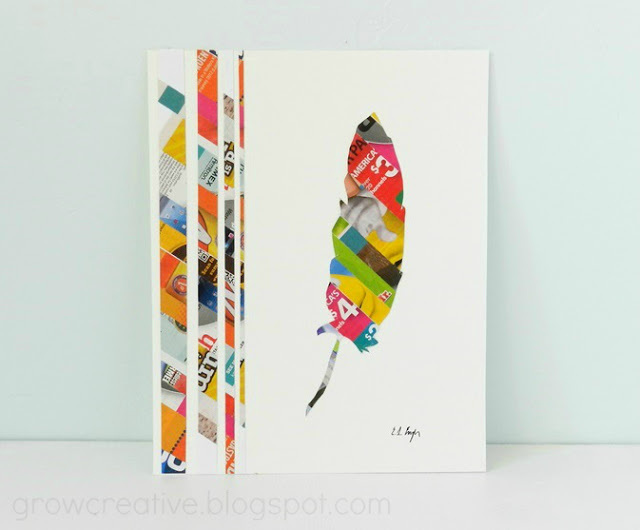 Finally, Grow Creative shared a tutorial on making art from junk mail. Such a great idea for upcycling! So glad you have your computer back! Thanks so much for hosting. Truly? Art from Junk Mail? I have to go see more. Thanks for the party! Lovely features Wendy! Thanks for hosting! Thanks for hosting and letting me participate last week... love the junk mail project ... so smart! I know you feel whole again with your computer being back! I am in love with that wallpaper, too cute! Thanks so much for always having such a great party and great features! Thanks so much for hosting, Wendy! Hope you're enjoying your summer. Have a great weekend! Wendy, another beautiful Friday party with great features! Thanks for hosting! Thanks for the party! That wall ROCKS! Thanks for the party, Wendy!! Hope you're not in the middle of a heat wave like me! Have a great weekend! Thank you soooo much for including my wallpaper in your features!!! I'm definitely checking out those gals' art pieces, they're so lovely!